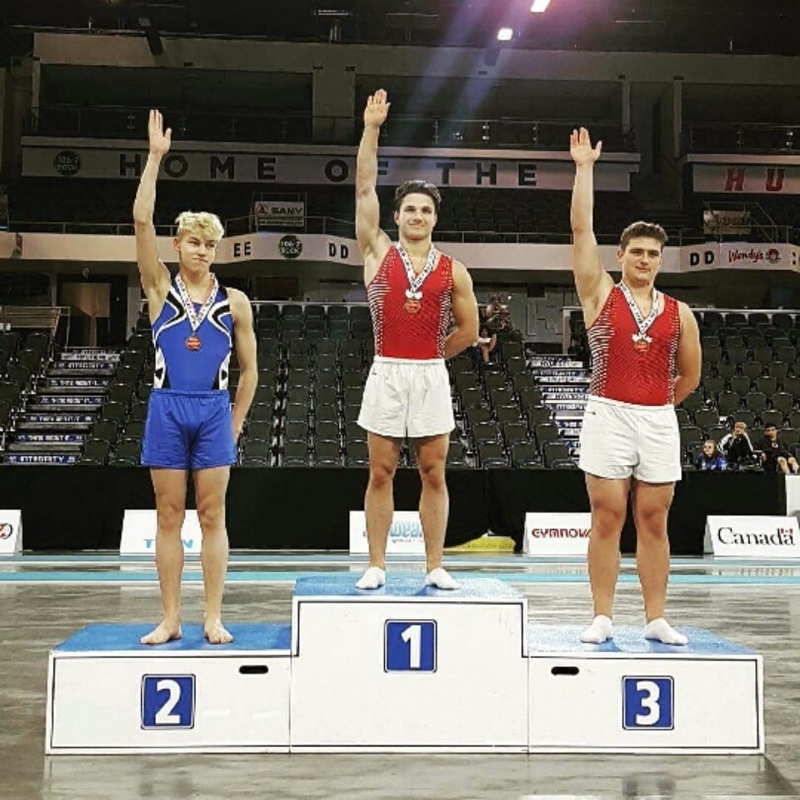 Lethbridge, AB - Local gymnast, Kai Dwyer (Fall River, NS) won a Silver and a Bronze medal at the Canadian Trampoline and Tumbling Championships this past weekend in Lethbridge, Alberta. In Trampoline in the Junior category, Kai had a total of 152.240 points to take home the Bronze medal. Dwyer finished behind Jeremy Chartier from Quebec who scored 153.460 points to win the Gold medal and Ronan Carlson (Alberta) who scored 152.585 points to earn Silver. In Synchro Trampoline, Dwyer teamed up with Declan McLean from BC and they won a Silver medal in the Senior category with a score of 123.970 points. Jason Burnett and Jake Cranham from Ontario combined to win the Gold medal in Synchro with a score of 128.680 points and Zach Blakely and Ashton Henfrey scored 108.740 points to place 3rd. In women’s action, Tia Wamboldt from Wileville, NS, placed 32nd in Women’s L5 Novice 17+ Trampoline. Both Nova Scotia athletes train out of Titans Gymnastics and Trampoline Club in Dartmouth under coach, Stewart Gunn.